Each of the divisions are analysed below followed by a discussion on the balance sheet. India is the world’s largest dairy market with producing 20% of the global milk. Its unique characteristic is that it is largely unorganised and only a marginal amount of the milk produced is processed before consumption. This leaves a large part of the industry open for organised players i.e the race for marketshare is still yet to begin. Recently Thirumala Dairy, another Hyderabad based dairy was acquired by Group Lactalis, at 1.2 times sales for about 1,600 cr. Thirumala was amongst the largest producers of milk in the country and is in the process of setting up a 20,000 cow dairy farm. Heritage, does not own cows, it only processes milk and has a fabulous distribution system that is efficient. It purchases milk from marginal farmers and pays them according to fat content. The milk procurement prices have risen drastically from Rs 23.3 in Q1 2012 to Rs 27.44 in Q3 2014 a rise of 17.5%. However, the average price sold per litter has moved up 24%, from Rs 26.4 to Rs 32.77 during the same period, making inflation a friend, rather than an enemy. Just like how ITC uses excise duty escalation as an excuse to pump up the prices. Dairy procurement has not changed much in the last 2 years but the company now boasts of a chilling capacity of 15LLPD. The company has also increased the Heritage Parlours to 1,222. While milk distribution is key, the cream of profits comes mainly from value added products and the competition in that sector, is on fire. There are national old players like Nestle, Amul, Mother Dairy and Britannia and now new players like Danone, Fonterra, Reliance and ITC entering into the markets. The premium margins are for products like Nutrition, Ice Cream, Cheese, Whitener, and Medical Nutrition where very little competition along with Amul exists. The next rung of products like butter, ghee, curd, UHT milk, paneer,cream etc is a product that almost everyone has and is trying their best to emerge a leader there. 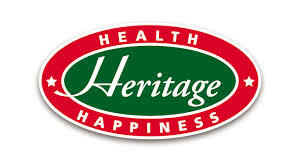 Heritage Foods, is one amongst the two vendors for Nestle’s packaged curd. It also has its own brand of curd which is 20% cheaper than Nestle, Britannia and Danone. Heritage can easily emerge a strong contender in the 2nd rung value added products as, they are primarily value driven. With branded products forming 15% of its revenue in Q3, 2014 up from 11% the year earlier, Heritage is chasing the correct target. With an EBIT of more than 100 cr this year and negative working capital, and Capital Employed of just 131 cr, its dairy division can easily be valued at 10x the EBIT, which yields a M.Cap of 1,000 cr. However, like everything else in life, heritage too has problems; the Retail and Agro divisions or the prodigal sons. Heritage supermarkets are well laid out, have courteous staff, adequate parking etc but they tend to take a little too much for granted with their SKUs. They have tried to create knock offs in the FMCG space, with own brands that ape maggi, lays, kurkure etc. Not only are the products, pretty bad, but their presence on the stands irritates customers as they are always placed at eye level. Retail gross margins are claimed to be 20%( yeah and warren buffet is writing this article). I really think the retail division has tons of dead stock that has not been written off for a few years to make the margins look healthy. They also claim that their store level EBITDA margins have risen from 4.2% to current 5.2% i the last one year. Don’t want to believe that either. Last year the retail venture costed the company 21.9 cr in losses after employing 58 cr of Capital. The company has about 65 cr loans as on September 2013 and pays at least 8 cr in interest eating away about 30 cr of profit from the company. Heritage probably was waiting for the 100% FDI to kick in and bundle the entire godforsaken business and sell it raising at least 1.5 cr per supermarket, which would translate to about 110-125 crores. If that happens, heritage will sky rocket. Retailing is not its cup of tea, the sooner it realises it, or acts upon it, the faster the company can stop its profit erosion. Another division not worth talking about in terms of profitability. At the most the existence of this division can be justified on a corporate responsibility basis. With 46 cr employed and a meagre turnover of 53 cr, its not hard to imagine that the Cap Employed is just bad debtors. With continuous negative returns, i hope this business also is given away as a parting present along with the retail business. This division is likely to erode another 2-2.5 cr in losses and another 6 cr in interest this year too. Heritage is a healthy dairy business with great potential in a market that is not overcrowded as the organised market in india is still just about 12%. Money management is decent and the balance sheet is not stressed. Without the prodigal sons Heritage can have a close to zero debt, and base level profits of 80 cr a year. The profit growth will then only depend on the percentage of value added products sales, which as on today is just 14.2% on a turnover of 994cr for the 3QFY14. Currently trading at a M.Cap of 470cr, the company can easily climb to valuations upwards of 900cr by selling off its parasitic retail divisions. There is plenty of upside to this stock, pick up a little today. CMP Rs202.